Run where California and Nevada meet in the Sierra Nevada Mountains at the Rock Tahoe Half Marathon, which marks its 5th annual running this year along a point-to-point route that starts at Spooner Summit and then heads downhill, dropping more than 700 feet in elevation by the time you reach the finish line. The race features gorgeous views of the eastern shore of Lake Tahoe — the largest freshwater lake in the Sierra Nevadas, which sits at about 6,225 feet above sea level and is the largest lake in the U.S. after the five Great Lakes. From the starting line at Spooner Summit, where Highways 50 and 28 meet, the race heads south mostly along Highway 50, unfolding through places like Logan Shoals and Cave Rock, where you’ll be surrounded by towering pine trees as you make your way south. 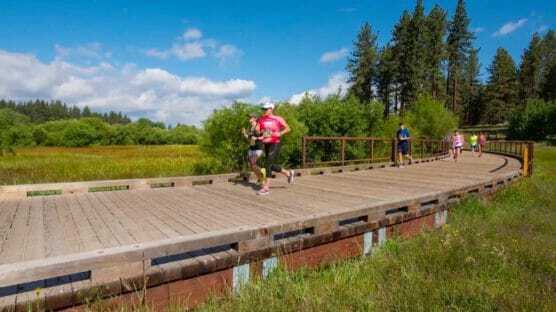 There’s also a stretch that begins around mile 10 that takes runners off the highway and onto the bike path between Round Hill and Stateline, which will take you through the historic Round Hill Pines as well as past Nevada Beach and Rabe Meadows, a stretch that runs alongside Burke Creek in Nevada Beach State Park, and known for its peaceful, tranquil scenery. Runners make their way south all the way into Stateline, where they’ll cross the finish line in the parking lot of the Hard Rock Cafe Hotel. There will be two starting times — the first at 7:00 AM, for those who want to walk the race and runners who feel it will take them more than 3 hours to finish their 13.1 miles; there’s also an 8:00 AM start for runners who plan to finish in less than 3 hours. Nestled along the shoreline of Lake Tahoe, right on the California-Nevada border, the town of Stateline typically sees some of its mildest temperatures of the year in June, when average temperatures range between the upper 30s and the low 70s. On race day (June 15), the average low is 37ºF and the average high is 71ºF. See the race route map for the Rock Tahoe Half Marathon here. 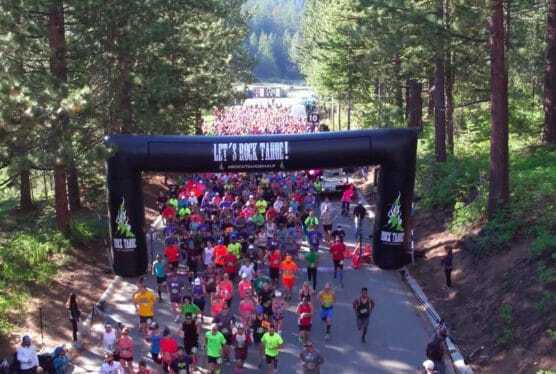 To reserve your spot in the 2019 running of Stateline’s Rock Tahoe Half Marathon, register online at RaceRoster.com here. 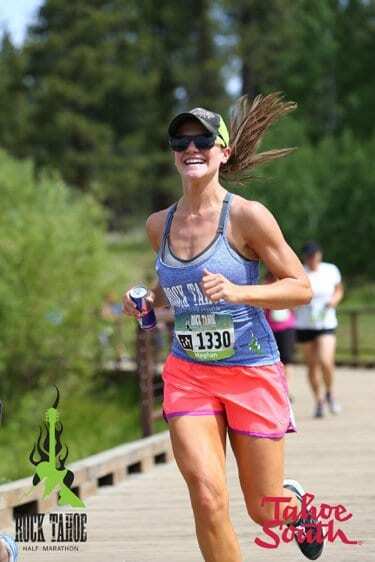 Ever run in the Rock Tahoe Half Marathon? Share your impressions here, as well as anything you learned about the race that you think other runners/walkers should know.